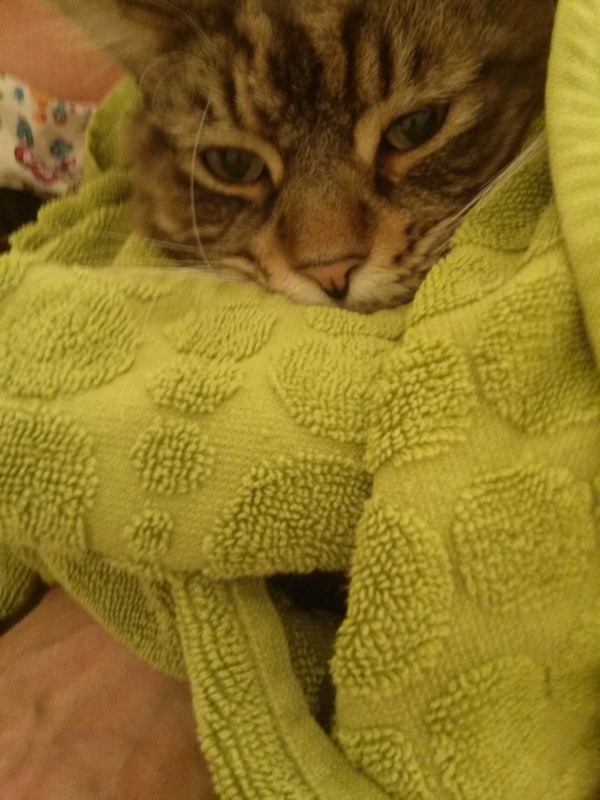 Bundle cat in a large, thick towel. Bath towels of good quality work best. 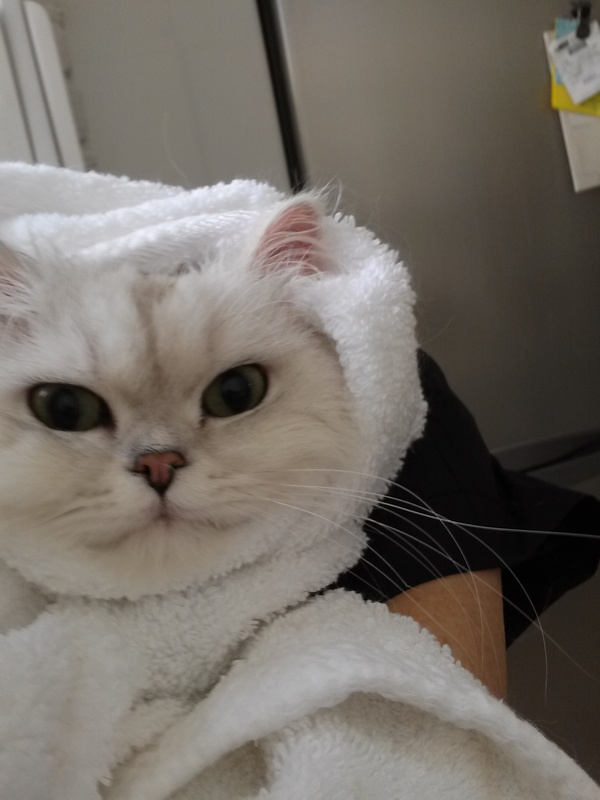 You can use two towels if cat is irritable. 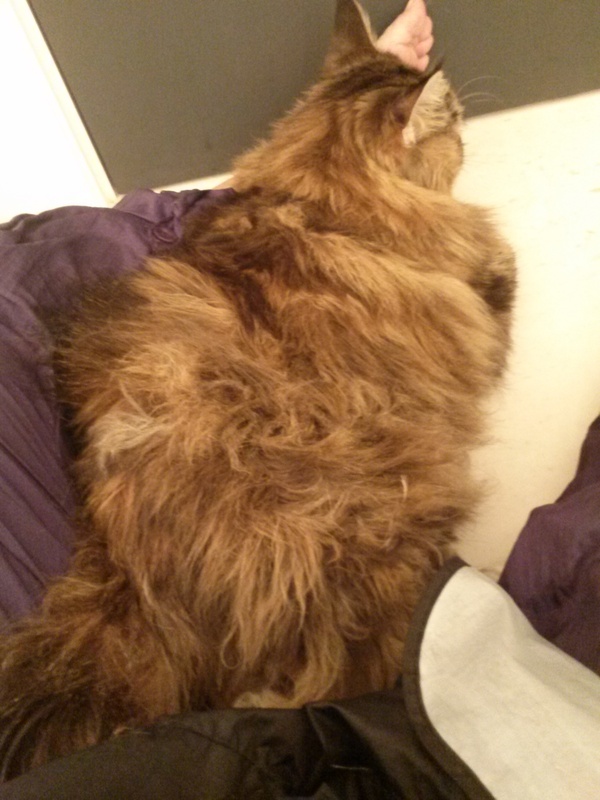 This is a lovely, large cat who is sweet-natured, but due to hip sensitivity, can be irritable during grooming. He has swatted at me a few times, but I don’t take it personally. He’s just saying, “Be careful lady!” I have to always be aware of his hips to make sure that I don’t cause the big guy discomfort. After bathing, I towel dry for several minutes, using one towel, then switching to another dry towel. Then I comb the head and neck. Most cats enjoy being combed there. If I haven’t already trimmed the claws, I pull out one paw at a time to trim them. In this photo, we are on the bathroom floor. The cat is on my lap. This is his rear paw. I am holding his upper body in my arms, close against me. Some cats seem to prefer being held close against my body instead of being on a table. 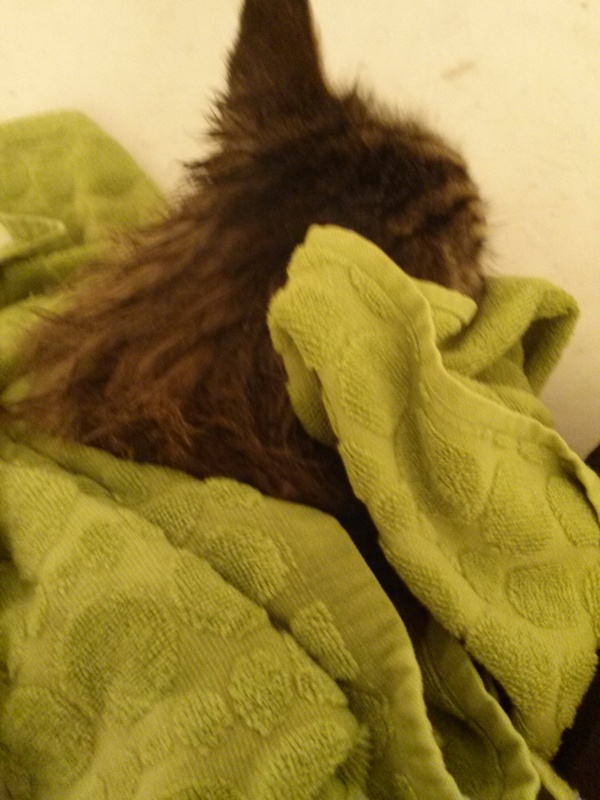 Now the cat has been towel dried. I am ready to blow dry and de-shed. If the cat is jittery about blow drying, I keep his front area wrapped securely in the towel. I blow dry his rear. Then I stroke his face to calm him. Lastly, I blow dry his front area. In the photo, he is leaning against my leg, snuggling his face into my foot. Tickles! 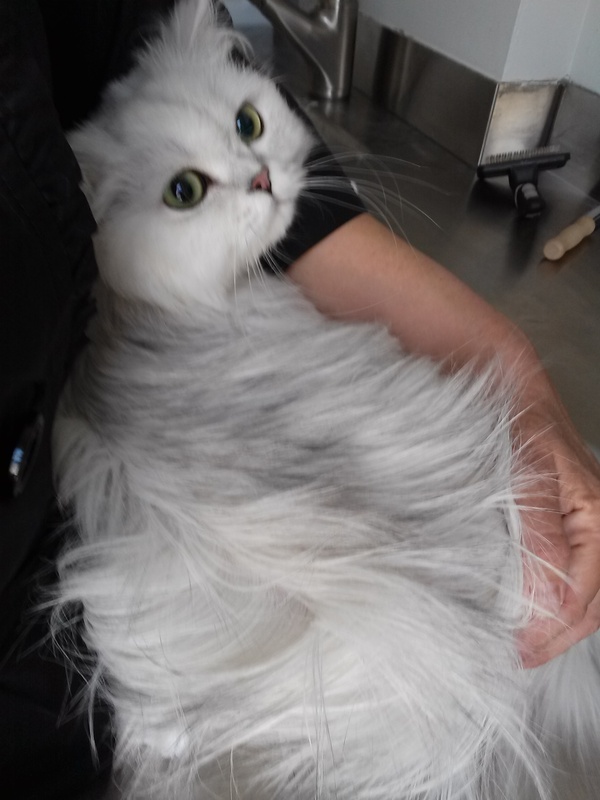 You can see that even though he is well-cared for and often groomed, his coat does have shedded fur clumped in with fur that’s still attached. If he weren’t groomed monthly, he would develop mats and be carrying around a coat that is weighed down with shedded fur. Shedded fur keep air from circulating to the skin. It’s just plain uncomfortable to be wearing a thick blanket of excess fur. 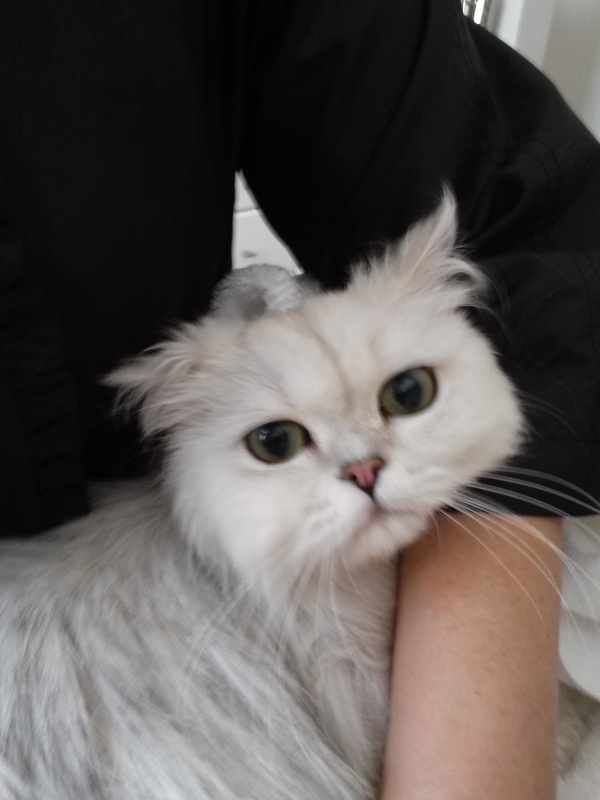 I develop a lot of affection for the cats I groom, so I like to see them thriving and at ease in their body. How would cat fur bypass the body’s protective mechanisms? Is fur 10 micrometers or less? No. 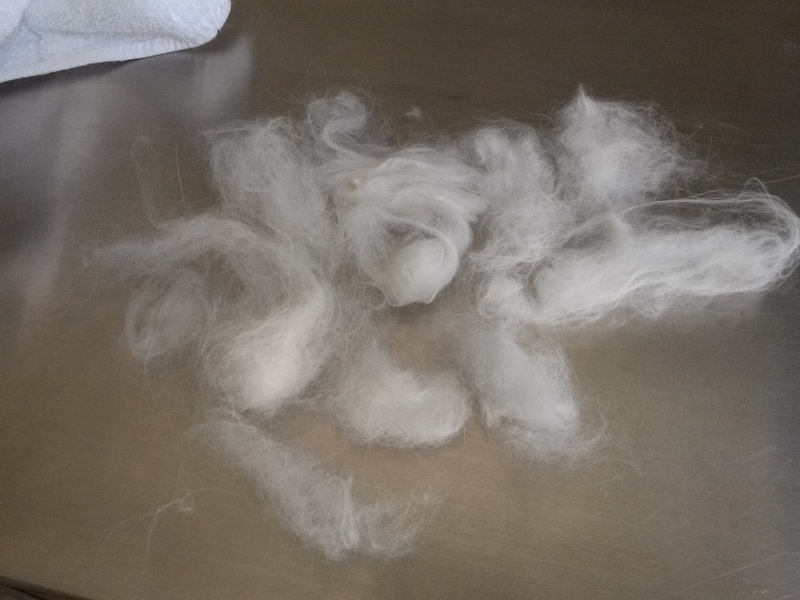 If fur is pulverized into dust, then perhaps it could enter the lungs. Groomers inhale particles, but are the particles small enough and in high enough volume to cause lung problems later in life? That I don’t know. Since high-velocity dryers are currently a standard grooming salon tool, I would guess that more particles are being blown around nowadays. 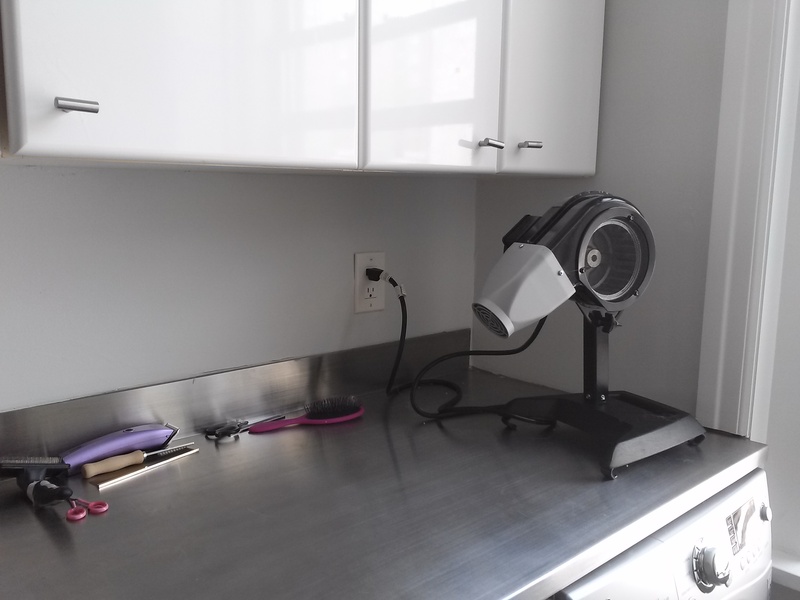 In earlier years, a “stand dryer” or a human-style blow dryer was used to dry pets. 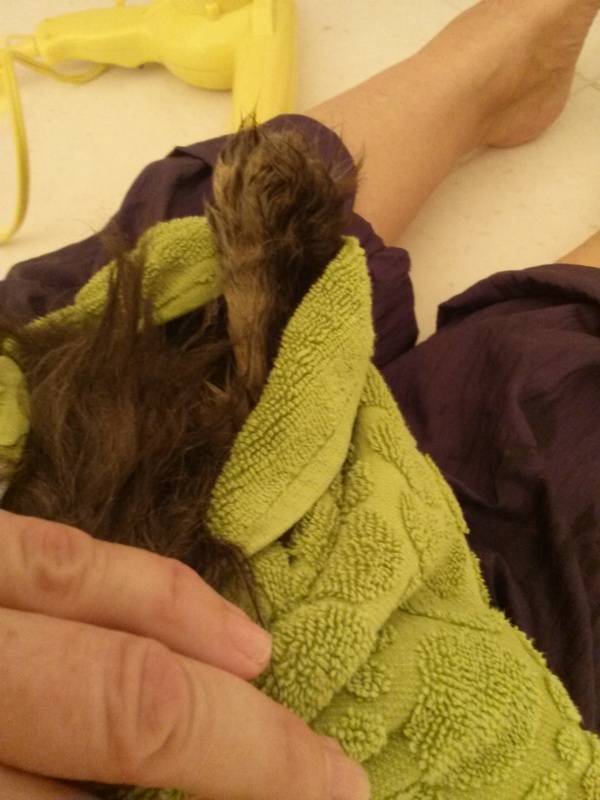 What I do know is that you will not see a furry lung if you autopsy a groomer. “Since the late 1970’s, we only monitored particulate matter pollution that was 10 microns in diameter or less, called PM 10. A micron (or micrometer) is a millionth of a meter. To give you an idea of how small PM 10 is, the dot above the letter “i” in a typical newspaper measures about 400 microns!” From Hamilton County Environmental Services website. Good site! Note: Micron = micrometer = millionth part of a meter. A meter is 39.37 inches. 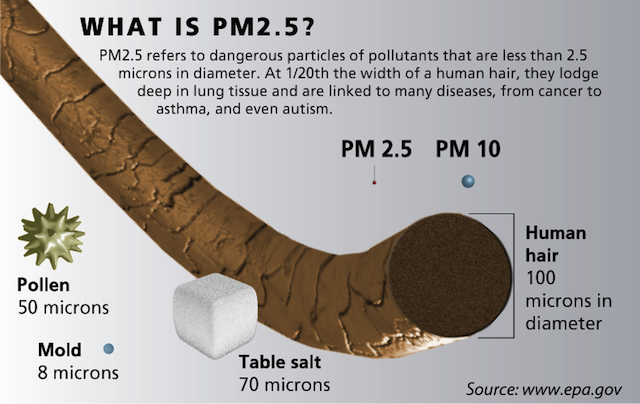 PM = Particulate Matter.